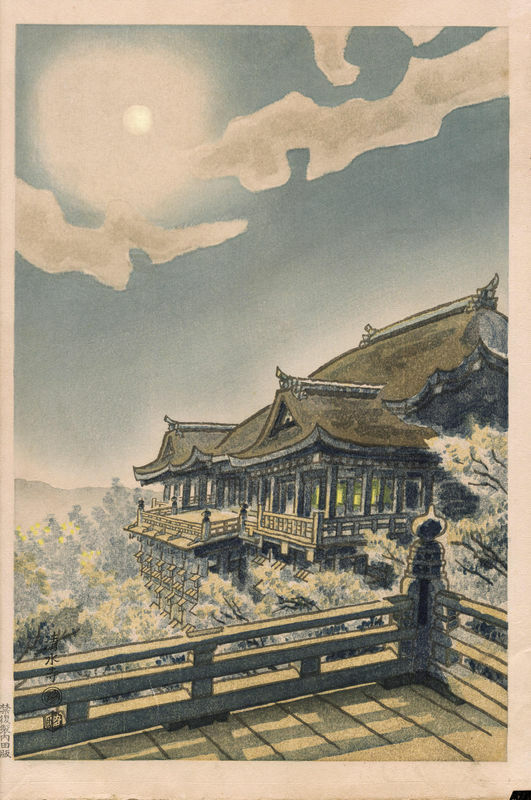 Kotozuka, Eiichi (1906-) "The Full Moon View At Kiyomizu Temple- October In Kyoto" - Woodblock - Chinese and Japanese woodblock prints for sale, silkscreen, scrolls, watercolor, lithographs. 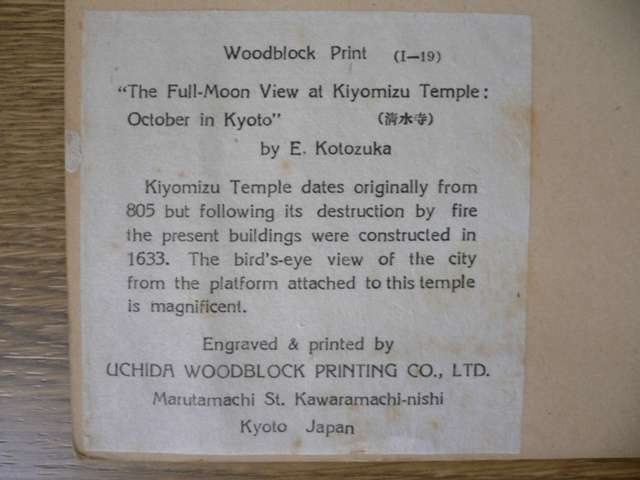 Artwork Details for Kotozuka, Eiichi (1906-) "The Full Moon View At Kiyomizu Temple- October In Kyoto"
Condition: Fine. Slight natural age toning, and remnants of original folder mount on the verso. Notes: Title, artist seal and publisher seal at the lower left of image area. Full margins are not shown (too large for my scanner).